The cistercian architectural legacy provides the most tangible evidence of an extraordinary and intensely personal form of monasticism that embraced all Europe. Inspired by the founding fathers, men and women sought a life of silence and contemplation 'far from the concourse of men'. 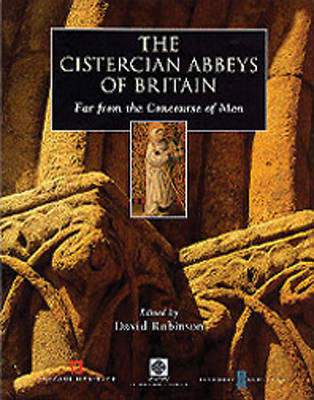 To celebrate the 900th anniversary of the birth of the 'White Monks' at Citeaux in Burgundy in 1098, this collaborative volume provides a comprehensive introduction to all of the cistercian abbeys held by Cadw: Welsh Historic Monuments, the English Heritage Society, and Historic Scotland. The book reflects the rich architectural legacy left in the British Isles by the most successful of all the medieval monastic orders."